Great piece, Hancock is one of the most instantly recognizable figures in early American history. Famous for his great signature on the Declaration of Independence, Hancock's great autograph has become synonymous with quality signatures for over 100 years! Offered is a handsome 16x13 document from 1790. Signed as Governor of Massachusetts, this is a Military Appointment. The document has been folded at one time but still displays well and is quite clean overall. 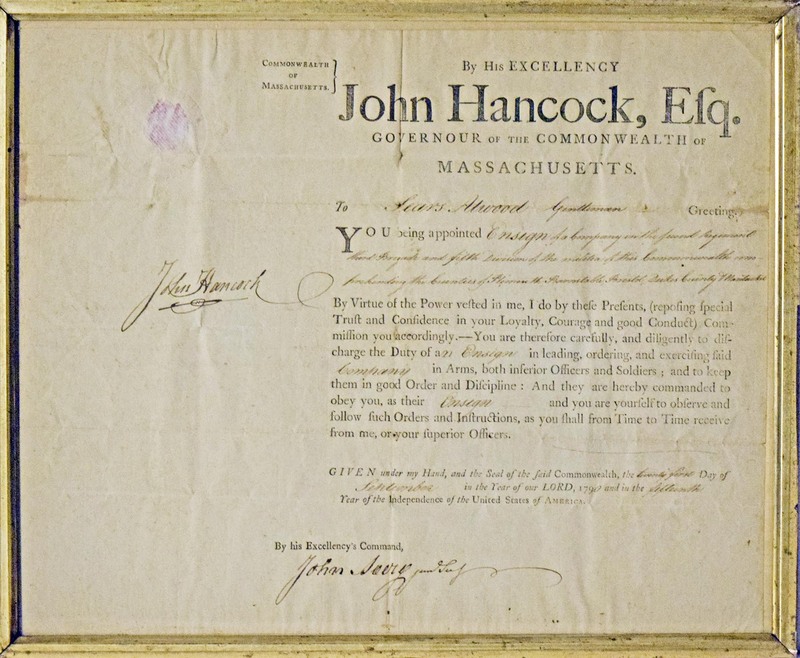 Hancock's classic signature is apart from the rest of the document on the left side and looks terrific. JSA LOA (full).